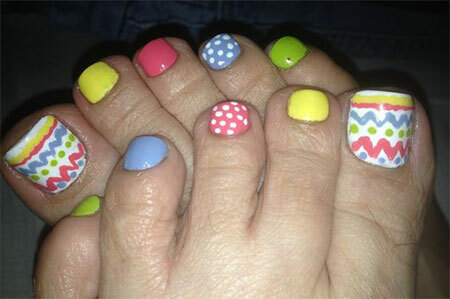 Nail art trend is getting more popularity with every passing year, over the few ages we have seen the market of nail art has grown wider and women are acting crazy for this fashion. Keeping this in view, now many nail art bars and salons have started catering the needs of these women, they are trying their harder to produce something original, innovative an stunning for the classy women of today. 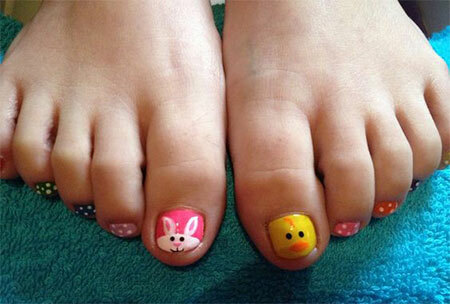 Here I have a collection of 10 inspiring Easter toe nail art designs, ideas & stickers. 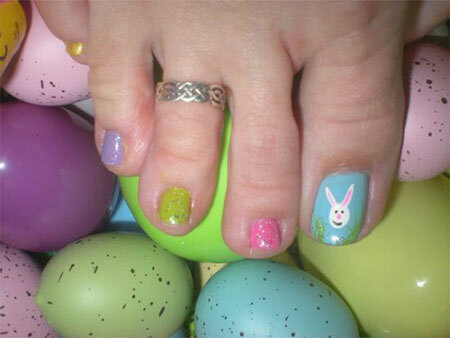 I am sure you will try these toe nail art this Easter, they are easy to make and apt for the event of Easter. Stay hooked for more is yet to come your way in coming days till the event hits us!